I love celebrating milestones, especially in my business. Every small acomplishment is something to cheer about because it means you’re one step closer to your dreams than you were the day before. So when I hit one thousand followers on Instagram, I did what hopefully any other small business owner would do, I celebrated with a giveaway! 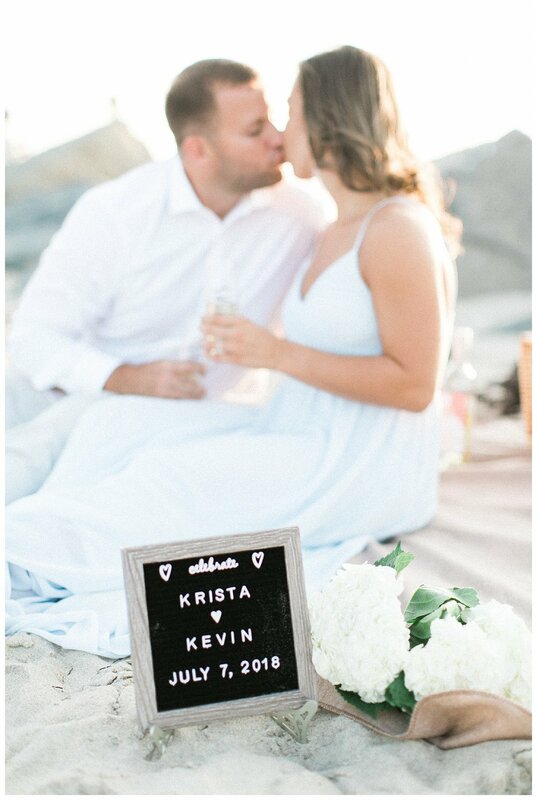 I decided to give away one free engagement session to a lucky couple, and when Krista’s friend tagged her in the post, she entered herself. 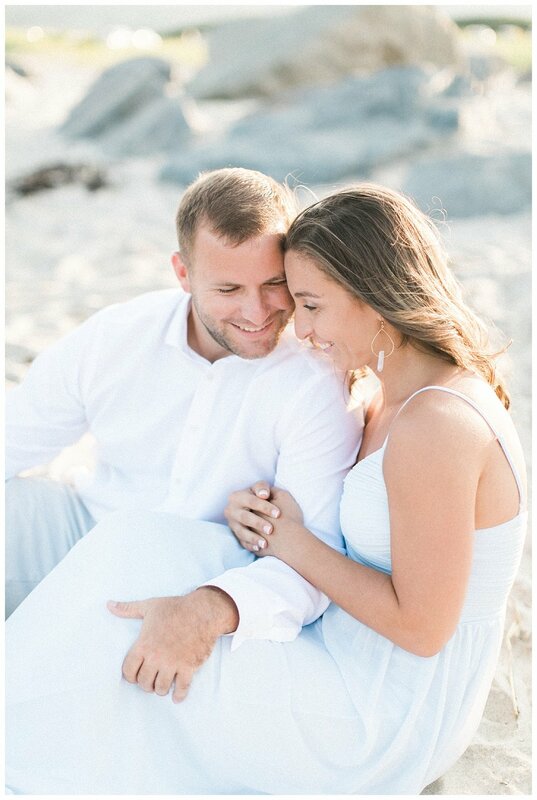 As fate would have it, after only a few weeks of getting engaged, her and Kevin won the session. 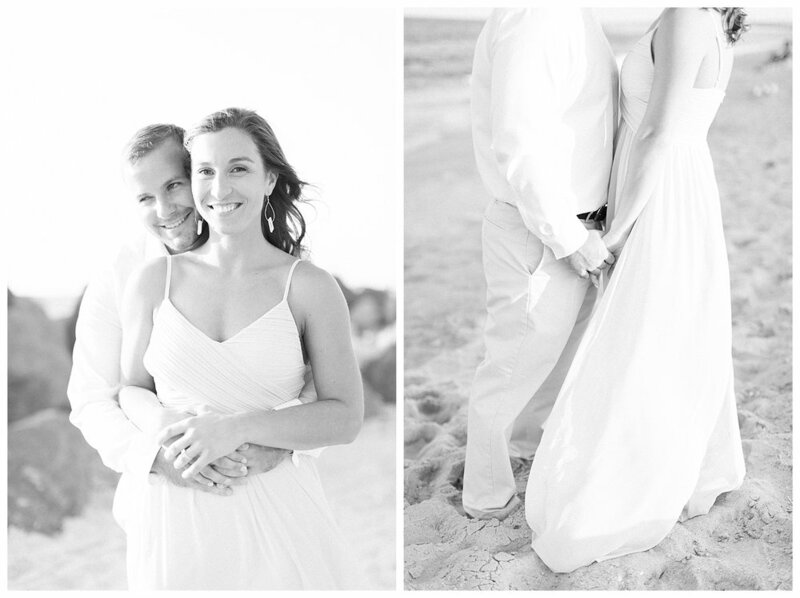 They had spent many summers at Sandy Hook beach in New Jersey, and wanted their portraits in one of their favorite places. I had never been there before so I was excited for this new location and let me tell you it did not disappoint! We got there just in time for sunset portraits. 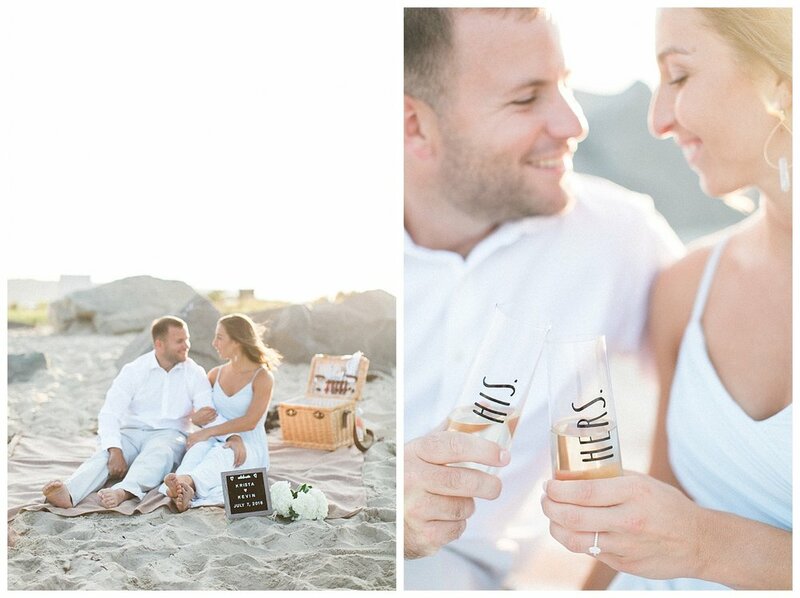 Krista had cute little picnic set up, which happens to be one of her favorite ways to spend time with her fiancé, and it’s also how Kevin proposed to her! 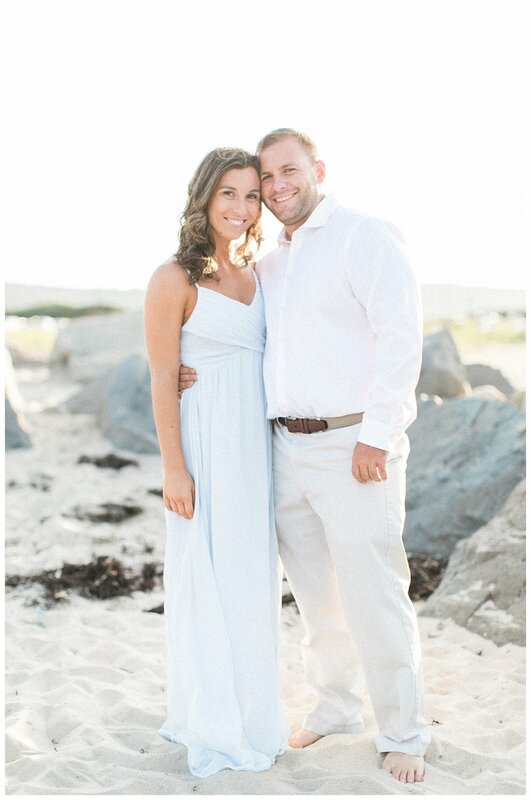 I can’t wait for their end of winter wedding in March!